The Ultimate Bay Boat is quite a claim. When seeking the absolute best bay combo boat on the water, why should you settle for anything less? You haven't reached your goals by comprising or taking shortcuts. 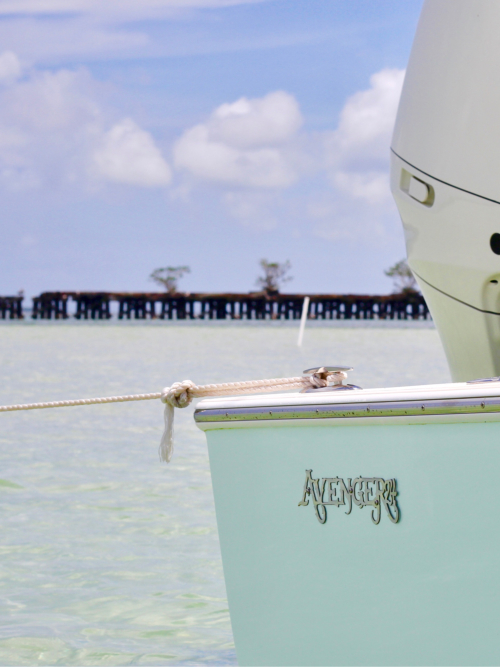 Some people own two boats to achieve what the legendary Avenger does so very well in a single personalized solution. We think that you will find that the Avenger Pro-Series is the best choice for the ultimate bay fishing experience. Our boats are designed by professional fisherman for the ultimate angling experience in both shallow and near shore waters. Just ask around - many of the professional fishing guides and serious anglers have captained the Marauder Marine Avenger for years. Each boat is hand-crafted from stem to stern. Your boat will be completely personalized to your liking, tournament requirement, and other specifications. Our boats are built at the highest level of production quality with an unsurpassed attention to detail... ensuring a lifetime of great days on the water. Whether on a trailer heading to your next great day on the water or gliding across the waves to your next record setting fish, pride of ownership is enhanced with the Avenger's striking good looks. In addition to the high performance and thoughtful onboard amenities available, the level of personalization available is virtually unlimited - from boat color to color of LED onboard lighting. This Avenger is custom built just for you.